Cher’s career in music, film and television has been filled with success and prestigious awards. Not only has she won a Grammy, an Emmy and three Golden Globes, but she is the only female solo artist to have been in the Top 10 of the Billboard Hot 100 in each of the past six decades. Cher’s life has not always been glamorous and successful. She was born in California on May 20, 1946 and named Cherilyn Sarkisian. Her parents divorced when she was very young and she was even put into foster care for a time due to poverty. Because of her dyslexia, she developed the ability to be able to listen closely and retain information. This has given her an edge in the studio, on stage or while filming, allowing her to hear things other people may not notice, and to adjust her performances accordingly. 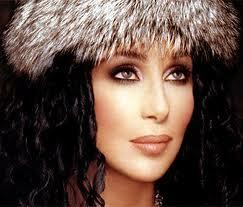 Cher’s dyslexia allowed her to develop her extraordinary talent, and achieve worldwide fame.